Colorectal cancer is the third leading cause of cancer death among men and women in the United States. A study published in the journal Cancer Prevention Research, suggests that a small dose of the popular male impotence drug Viagra, when taking regularly, may significantly reduce the risk of colorectal cancer. A small daily dose of the erectile dysfunction drug may prove invaluable for treating and preventing colorectal cancer. The latest study, published in the journal Cancer Prevention Research, suggests that a small dose of the popular male impotence drug Viagra, when taking regularly, may significantly reduce the risk of colorectal cancer. The American Cancer Society (ACS) reported that colorectal cancer is the third leading cause of cancer death among men and women in the United States. And it's the third most commonly diagnosed form of cancer overall; around 1 in 22 men and 1 in 24 women are likely to develop it at some point. A significant risk factor for developing the illness is a mutation in a gene called the adenomatous polyposis coli (APC), a tumor suppressor. People with an APC genetic mutation might develop hundreds of colorectal polyps, which may eventually result in cancer. The new research also uses a mouse model of this genetic mutation to test the effect of sildenafil — which is marketed as the popular erectile dysfunction drug Viagra — on colorectal cancer risk. Pictured are MD/PhD student and a study coauthor Bianca N. Islam with Dr. Darren D. Browning. The study was led by Dr. Darren D. Browning, a cancer researcher at the Georgia Cancer Center and the Department of Biochemistry and Molecular Biology at Augusta University in Georgia — claims that a small daily intake of the drug could cut the number of colorectal tumors by half. The researchers added sildenafil to the drinking water of mice that had been genetically modified to develop hundreds of polyps — which, in humans, almost always lead to colorectal cancer. Viagra is best known for its ability to relax the smooth muscle cells around blood vessels so the vessels can more easily fill with blood, which is how it helps both erectile dysfunction and pulmonary hypertension. 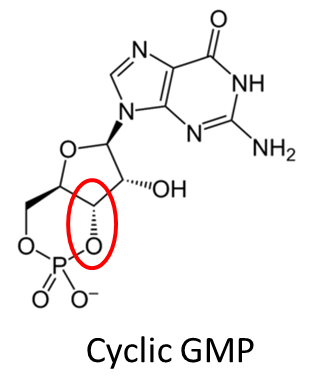 But Browning's lab is showing it also increases levels of the chemical cyclic GMP, which is known to affect the intestinal lining,called the epithelium. The latest study found that sildenafil raises levels of a substance called cyclic guanosine mono phosphate (cGMP), which is an intracellular calcium regulator. cGMP contributes to the good physiological functioning of smooth muscle cells,pituitary cells, and retinal cells, among others. Dr. Browning and colleagues explained in their study, cGMP has also been shown to regulate the homeostasis of the intestinal epithelium, or the layer of cells inside the intestine that forms a physical barrier against foreign substances and bacteria. Moreover, epithelium plays a key role in how our immune system responds to such foreign agents, and in conditions such as inflammatory bowel disease, the epithelium is inflamed. Dr. Browning and team also investigated the impact of sildenafil on cGMP because they knew that sildenafil inhibits another substance that has the potential to increase cGMP. The inhibiting substance is called phosphodiesterase-5, an enzyme that occurs naturally in colon cells, and in some others. The enzyme can break down cGMP,making more of it available for creating cells that form the protective layer that is the epithelium. The research team also looked at the prescription drug linaclotide, which is used to treat constipation and irritable bowel syndrome with constipation and, like Viagra, is known to increase cyclic GMP. While linaclotide was also effective at significantly reducing polyp formation, the common side effect of diarrhea at pretty much any dose makes it unlikely that patients would find it tolerable to use long term,even to reduce their cancer risk, Browning says. The low doses of Viagra used by humans and in the lab, on the other hand, have no known side effects,Browning notes. The current concepts of cGMP signaling. CGMP generators (green) and effectors (red). The study revealed that Viagra increased cGMP, which, in turn, suppressed some of the cells that were proliferating in excess in the gut. A second beneficial effect of the Viagra-boosted cGMP was that it aided the natural process of abnormal cell death and elimination. "When we give Viagra," explains Dr. Browning, "we shrink the whole proliferating compartment in an area of our body that directly deals with whatever we put in our mouths and normally experiences high cell turnover." "Proliferating cells are more subject to mutations that cause cancer," he explains. In the mouse model, small doses of Viagra reduced the formation of polyps by 50 percent. As Dr. Browning says, "Giving a[tiny] dose of Viagra can reduce the amount of tumors in these animals by half." He adds that the next steps should comprise human clinical trials of the already approved drug, with a focus on people who are already at high risk ofcolorectal cancer. Dr. Browning also notes that, given in such small doses,Viagra is unlikely to cause side effects.